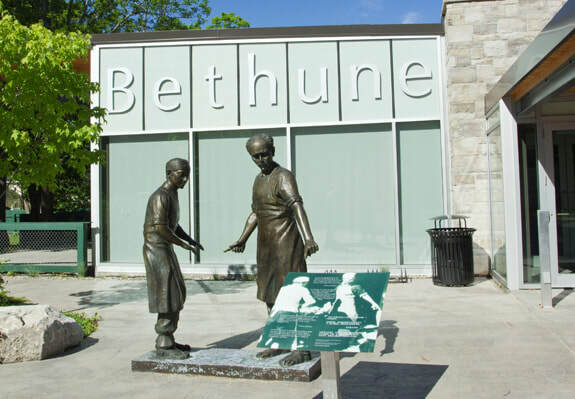 Take a tour of this charming Victorian-era home where Dr. Norman Bethune was born and immerse your students in an incredible legacy of accomplishments. Led by one of our Heritage Interpreters, students will learn about his involvement in World War One, or his contribution to the development of public health care in Canada. New World War One themed outdoor activity area will be unveiled this spring. Free admission in 2017 to celebrate Canada 150th birthday. Geocache into the Madawaska is a unique combination of adventure, discovery and hands-on learning. Starting at Madawaska Kanu Centre you’ll be served a hearty outdoor lunch before a guide provides the ‘how-to’ on using your GPS, before setting you lose to test drive your knowledge. Your multi-cache journey will have you embark on the 2 hour Madawaska River rafting trip.